National Research and Education Networks (NRENs) in the Caribbean are now taking ownership of operations from the Regional REN, Caribbean Knowledge and Learning Network (CKLN), which has been interconnecting research and education institutions at national level due to absence of NRENs in some countries within the region. It is expected that 2016 will see at least four more NRENs established as legal entities in the Caribbean. By doing so, they will not only be able to seek and access funding independently and implement other operations to serve their user institutions, but they will also be on par and able to fully engage with other 150+ NRENs around the globe. 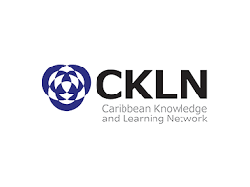 The Caribbean Knowledge and Learning Network (CKLN) is pleased to learn that cabinet approval has been granted in Trinidad and Tobago and Belize to establish these entities into legal not-for-profit organisations. Haiti and the Dominican Republic already have their NRENs established as legal entities and countries like Barbados, the Bahamas, Jamaica and Suriname (which at present function as volunteer Committees or Task Forces) are working assiduously for the same. Some have a cabinet submission awaiting approval or are preparing for a full presentation to Parliament. At present, CKLN functions both as the Caribbean representative in the international R&E milieu, and also on behalf of the various national R&E networks. *This article originally appeared in the CKLN newsletter, Read the original version.